Durability — Ceramic tile flooring is very durable, waterproof, and scratch-resistant. If your home experiences high foot traffic or usage, then ceramic tile may be a good flooring option to consider. Variety — There are so many different types and designs of ceramic tile flooring to choose from! You can choose from different shapes, colors, and textures. At Wright’s Carpet, we have a large ceramic tile selection to choose from in our very own showroom. Whatever design you are looking for to make your home unique and stylish, there is sure to be a ceramic tile design to fit your personality. 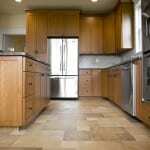 Easy Cleanup — Ceramic tile flooring is far easier to keep clean than carpet. Water, mud, food, and dirt will have little to no impact on your ceramic tiles! 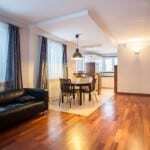 Ceramic tile can last a lifetime and may only occasionally need steam cleaning, unlike carpet that requires more attention. If you need ceramic tile flooring or you have any other flooring needs for your home in North Carolina, call our team at Wright’s Carpet today! We are ready to schedule quick, in-home service and answer any flooring questions you may have.